I love bengoli sweets as they are non fried ,juicy and very delicious. 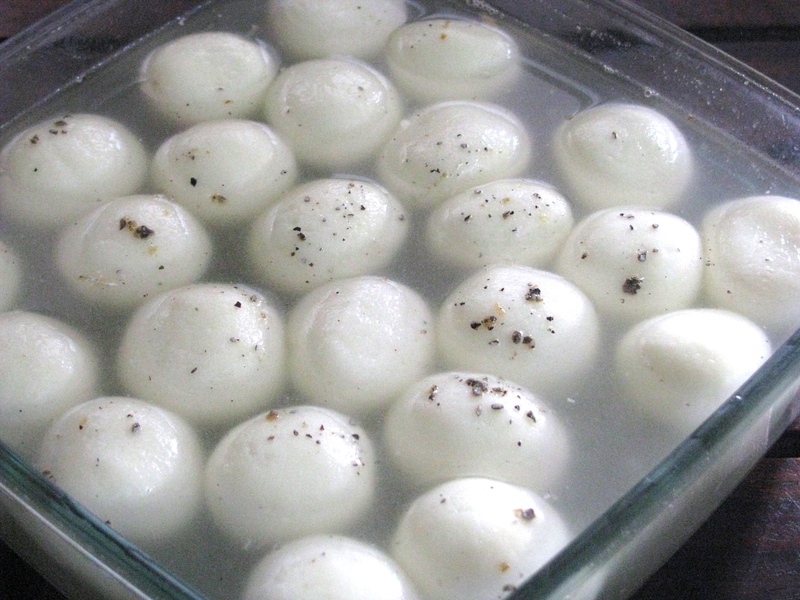 Rasgulla is my all time favorite sweet dessert. Over the period of time i tried to make this recipe simple and very easy . I have explain step by step method to make perfect rasgulla from scratch. Bring milk to boil in a heavy bottom pan …add lemon juice to it ..Stir continuously..When milk curdles completely, remove pan from heat ..
Add cardamom powder and take out off the heat …. Hi there just checking do we need to cover pot while rasgulla’s cooking. I forgot to mention this part in my post ,thanks for reminding me .When the sugar is dissolved in water and comes to boil add chenna balls ,when it starts boiling again ,close it with lid . open it after every 5 minutes to ensure that the steam comes out to prevent the sugar syrup from boiling over. It will take around 25 minutes to get cooked . check the rasgulla if they r cooked if they r not let it cook for another 4-5 minutes .